...here's the best use of his music in a movie. Rest in Peace, sir! Your music is everything that is good. So, what's the best use of a Bowie song in a movie? Take me to task. I love him too. 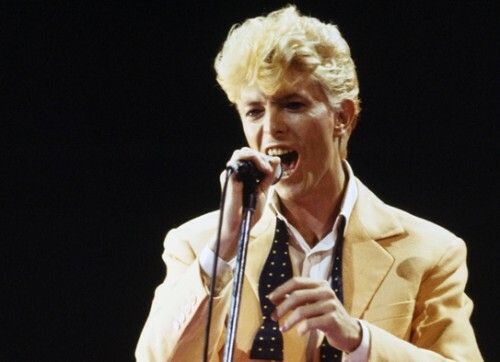 He was an odd one but that's what made him David Bowie. I saw him in concert during The Thin White Duke tour and he was just brilliant, despite his stated distaste for touring he gave a good show. No doubt. So jealous you got to see him live. What an experience! I'VE BEEN THINKING OF THAT FRANCES HA SCENE ALL DAY! Such shocking news for sure. I haven't seen Labyrinth since I was a wee child. Need to watch it again. Wow! I had no idea about that other film. Really cool. I really liked how The Martian used Starman, it was so fitting. I actually forgot about this scene in Frances Ha. That's a nice reminder. I loved that about The Martian. Perfect. The best use of his music, IMO, had to be the scene in The Perks of Being a Wallflower where they used the song "Heroes". So excellent. He was excellent. He had a lot of amazing songs. And he will be sorely missed. Heroes is such a good song. Totally agree on that one.